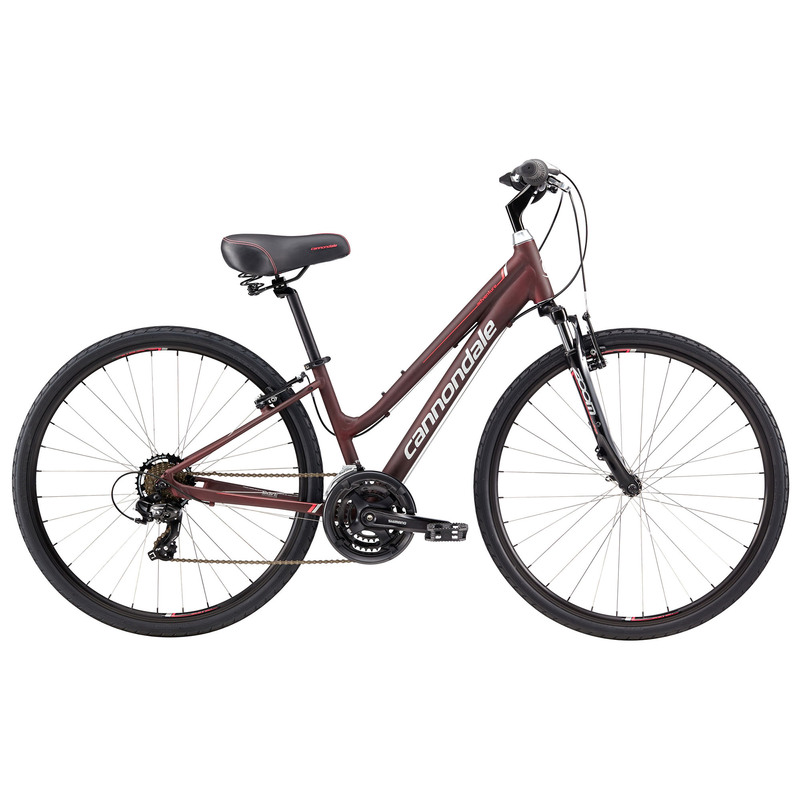 If you are looking for a dependable bike that suits multiple purposes, then the Cannondale Adventure, will be right up your street. This bike weighs a little over 13 kilos and has an aluminum frame. This is a more affordable choice for a good quality bike. The Cannondale Adventure is one of those bikes that would seem to fit a number of different circumstances quite well. This was partially why we were quite so interested in taking it out for a spin. At a little over 13 kilos, the Adventure 2 falls just short of being labelled too heavy. At the same time, it does allow the cyclist a little stability. Like we said, the Adventure 2 seems a little all-terrain so we started the bike off easy on the road. Here, it performed like a dream. It boasts a smooth ride, intuitive handling, and great steering. We hit a couple of potholes and the bike simply sailed over them. It also felt quite firm beneath us and does not seem to be worried by a little bit of rough handling. This led us to head over to some tougher terrain. What impressed us most about the Cannondale Adventure was the level of comfort. This bike headed over rocks and roots and we did not feel a thing. Furthermore, the positioning of the Adventure 2 was quite encouraging as well. We felt as though we could ride it for hours on end and not have complaining backs. While it may not be one of the fastest options, the weight of the bike does allow you to get up to a certain speed. Similarly, it also handles mountain inclines quite well. Overall, this is a really good value for money. Personally, what we felt was best about this bike was that it could easily be taken from one terrain to another. It really was quite versatile, regardless of where we headed. Also, the comfort level really did not diminish with the terrain either. The Cannondale Adventure lives up to its name, allowing the rider to tackle many different landscapes with a great deal of success. The Cannondale Adventure is perfect if you are trying to pick just one bike to own. You will not need anymore after this one.